Years ago an older colleague of mine pointed out that in society we have very few examples of people retiring gracefully. The observation, as I recall, was meant to highlight how so many of us continue to hold on to the vestiges of tangible and intangible, real and imagined relevance and importance long after their use-by date, at the heart of which is an unwillingness or incapacity to adjust to new circumstances. 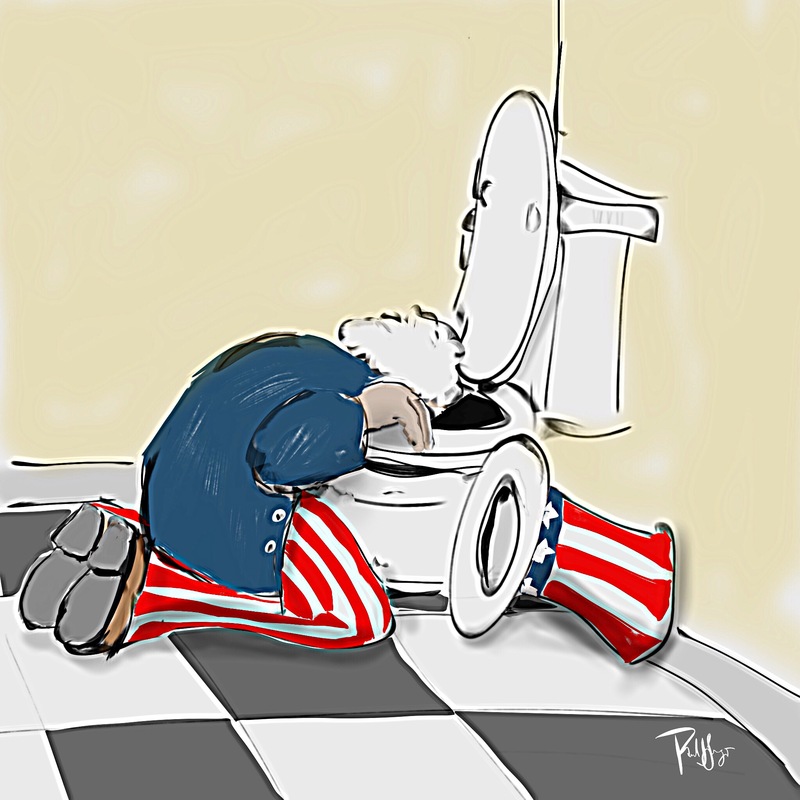 Well, while this may be true in many cases, it’s not true in all cases. 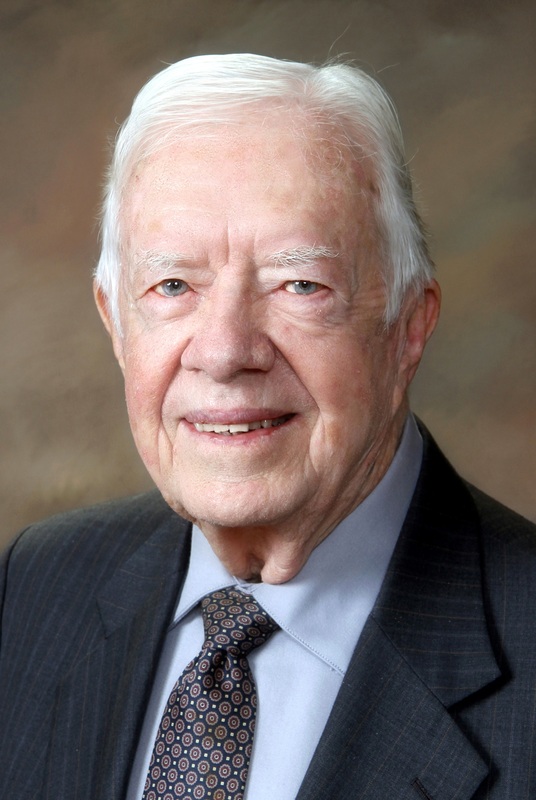 Take President Jimmy Carter, whom I refer to as a teacher in this regard. Don’t take my word for it, watch him teach us how to embrace and accept ambiguity gracefully. I used this reference photo in a freehand, side by side, humble rendering in Procreate with a tweak or two in iColorama. This entry was posted in Digital Artwork, iPad Art, Sketches and tagged grace, iColorama, President Jimmy Carter, Procreate, teacher by portfoliolongo.com. Bookmark the permalink. 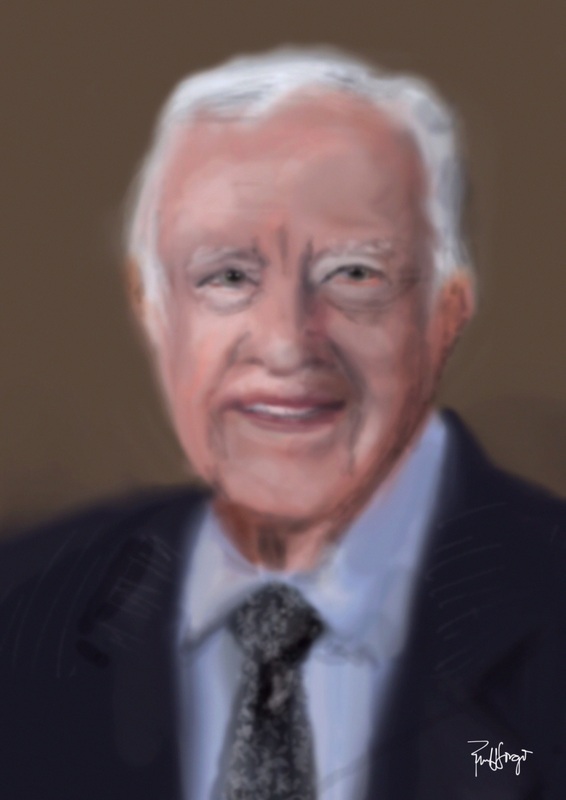 Jimmy Carter has been an inspiration as to how to make the most for humanity when others put on their robes and slippers and fad away in retirement. Now he is teaching us how to gracefully embrace out own mortality. Beautifully put, Roger! Thank you.